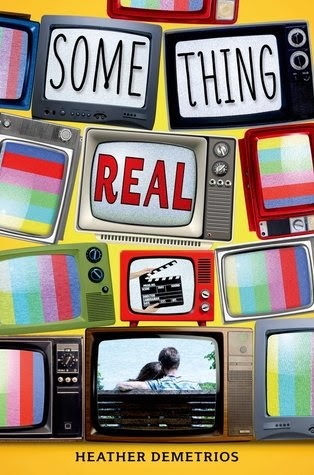 Something Real by Heather Demetrios: Promo and Giveaway! I loved Bonnie Baker. She is the somewhat typical former child star. Her siblings and her were part of a massive reality show revolving around their family. When the show was somewhat cancelled (somewhat because they had the option to restart it), Bonnie was left damaged. She lives in fear that she might be recognized due to the show. When her mom has a very unwelcome surprise for her, Bonnie is very afraid that her life will be on repeat. Bonnie had an interesting character. I could understand why she did not want to be on T.V. ; so many people seem to want to be on T.V., but I, too, would rather keep my privacy. Her character shows interesting development during the novel. I would have liked to get to know her other siblings better; I felt that I barely knew any of their names. I LOVED the ending; I cannot emphasize the unusual twist at the end as the best reason to read this novel. This book is recommended to young adult/teen readers. I've always been intrigued by the behind the scenes of a tv show or the backstory of an actor. Thanks for having the giveaway. I think it would be interesting to read about the behind the scenes story of a reality show. I like that it is about being on a tv show and what happens in life beyond the show. It sounds like a cute contemporary! And I like that it's behind the scenes of a show-- interesting! I like that it's about a reality show, and sounds interesting. I love large families and would like to have more sit coms like this actually come back onto TV viewing. I think it is fun to realize how much pressure those in the public eye really feel and experience.